Available to all Georgia teens! Licensed by the Georgia Department of Driver Services! THEREFORE, ALL TESTS CAN BE RETAKEN TO ACHIEVE A PASSING SCORE. COMPLETION OF OUR 30 HOUR ONLINE DRIVER'S EDUCATION COURSE WILL SATISFY THE JOSHUA LAW REQUIREMENT TO OBTAIN A GEORGIA DRIVER'S LICENSE. 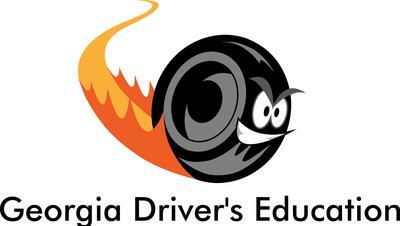 Warning: Georgia law requires you to spend 30 hours completing an online driver's education course. You must read each of the eleven modules and spend a minimum of 2.73 hours in each module. You will not be able to take the final test until you have accumulated 30 hours of training. Please, don't rush through this course. It only takes 4 points (1 or 2 traffic citations) for your driver's license or privilege to drive on the highways of this state to be suspended! Research has shown that the emotional part of teenagers' brains are fully developed like an adult, but the cognitive part of their brains are not fully developed until they reach 21 years of age. Most teenagers do not understand or see risks as adults see risks. That is why there is such a high fatal rate of teen car crashes. In fact, there are cases where after getting their first driver's license, several teenagers met with a fatal accident during their first drive alone in a vehicle. It is difficult to understand how teenagers can turn into an oncoming car. This is because they do not see the risk of an oncoming car until it is too close to change their minds. The 30 hour course requirement is to make sure teens are able to go through the courses thoroughly, maybe even two times or more until they understand the skills taught, and the lessons learned in the courses. Teens should retake their quizzes several times, because every time they try a new quiz, different questions will appear for them to answer. DO NOT FORGET YOUR SECURITY CODE ANSWERS! You MUST BE active in the course for 30 hours & successfully pass the final test. Do NOT skip any course work. Do your own work; do NOT have anyone complete any of the training for you. All training is DOCUMENTED on your training log. Upon completion, we will email the DDS certificate to the email address on file. Do NOT sign up for the DDS Road Test until you have the certificate of completion in hand. PARENTS ARE NOT ALLOWED TO COMPLETE ANY OF THE COURSEWORK FOR THEIR CHILDREN.